Showing results by author "Matt Margolis"
Matt Margolis lays out the details of literally dozens of Obama administration scandals that have been ignored, downplayed, or covered-up by the mainstream media. 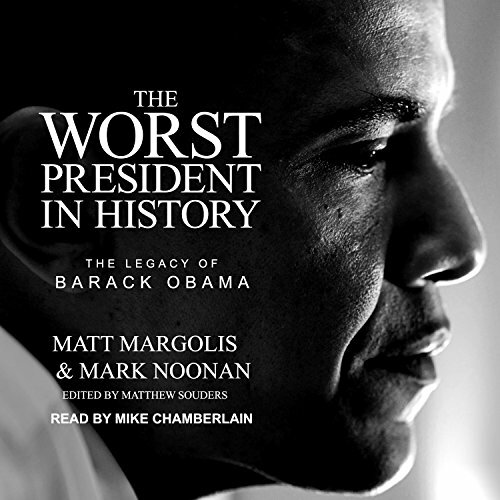 From "Fast and Furious", to the illegal IRS targeting of conservative groups, to the recent NSA spying outrage, Margolis makes a powerful case that the Obama years represented nearly a decade of lawless and abusive governance. While Obama and his allies attempt to spin the narrative that his presidency represented a time of pristine politics, it's critically important that Americans understand the truth.